This is an OFFICIAL NASA 8" x 10"signed photo, and highly sought after. 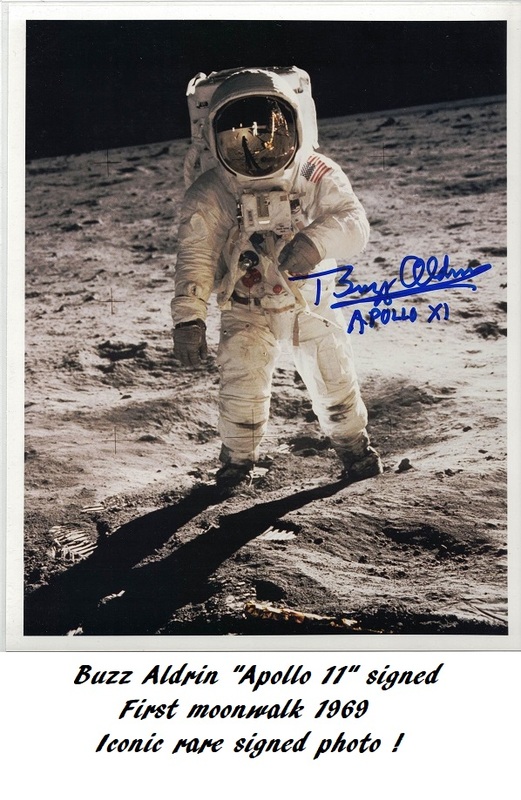 Signed by Buzz Aldrin, who walked on the moon during the first ever Apollo 11 moonlanding with Neil Armstrong. A guaranteed investment piece ! What makes this extra special and rare, is that Buzz added the "Apollo 11" Mission name. Absolutely perfect !